Is that a running theme we spy? A vegetation fire in Tilden Park jumped the line and ran wild yesterday, leveling groves of oaks and trampling grandma’s flower beds in its delinquent abandon. The burn was supposed to be controlled. Then it wasn’t. Keep in mind that Tilden Park’s located not three miles from the Berkeley campus. Luckily, courageous firefighters managed to wrestle the fire into submission around late afternoon. 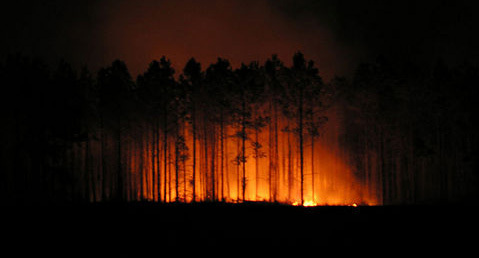 The blaze only consumed about 10 more acres than it was supposed to. No homes, structures or squirrels were harmed in the process.